What a flipping kitchen! Salmon dinner for under seven Euros? Score. The guy in the TKA shirt lands his beer pong toss (“Take that mother…”) as the girl with curly hair is tongue-jamming her conquest, an Aussi guy who told me earlier that he was “gonna get that, mate.” A nineteen year old Canadian boy sits at the bar, downing shots of bottom-shelf rum. He’s trying to keep up with the goopy-eyed girl from Portland who seems unable to discuss anything other than her boyfriend (“He totally lets me put eyeshadow on him.”). Somebody drops a glass. A pregnant pause. Then the whole place whoops as the party shifts into fifth gear. The Villa Saint Exupery in Nice, France – recognized wordwide as classy dorm digs – is filled tonight with the same energy you’d feel at a Megadeth concert. This “relaxing” and “extraordinary” place is jammed with howling patrons who have a seemingly common purpose. Chaos. It’s a real pity for the owners, who would probably be happier to have a clientele of calm, snifter-whiffing women in their thirties. There’s nothing that can disqualify soothing adjectives faster than a backpacker on the drink. Still, there’s good reason that the hostel is sold out tonight – it does everything right. The staff is abundant, easily handling the 100+ residents in this converted monastery. They hand out maps and directions with less disdain than I’ve ever witnessed, answering the most routine questions with genuine smiles. Forget your tampons? Rubbers? Pasta with sauce? No worries. Two shuttle vans make nonstop runs to town and the airport. Laundry is washed and folded for five Euros. 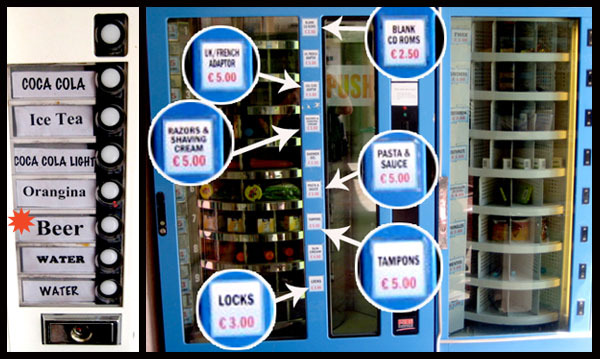 Vending machines sell anything that you could have forgotten back home, from shaving cream to condoms (mate). Views of the Chapel which features an internet lab, an in-tune Piano and a rad fireplace. A big, stainless steel kitchen gives plenty of room to move but few people make their own meals because the in-house chef (yes) is just so damned good. Eyes bulge at the heaping €6.50 dinner. On one occasion I was served roast veal with rosemary potatoes, ratatouille and green beans. 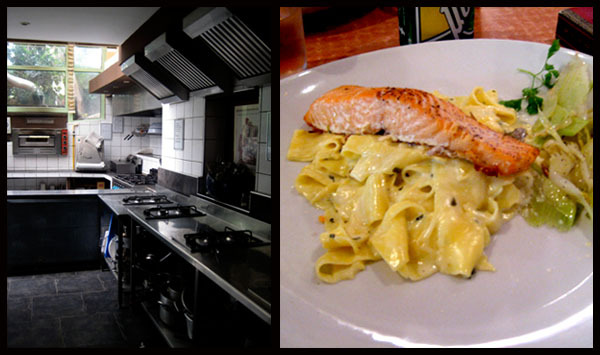 The next night was some salmon concoction that looked straight a good episode of Top Chef. I caressed every piece of food with my fork before I ate it, just to make sure it was real and not some kind of too-long-on-the-road mirage. The Chapel is the hostel’s star attraction. 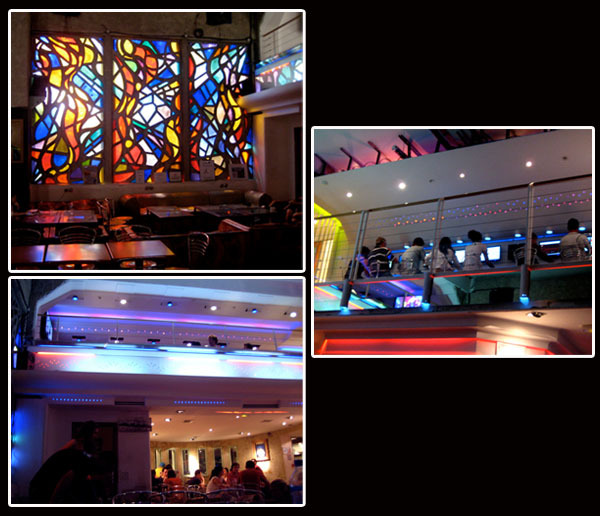 A massive room wrapped in a stained glass wall, it also features a balcony full of free, high-speed-charged computers. Strewn about are couches, a grand piano (in tune) and a wide-screen television. Outside of The Chapel are three sitting areas, one complete with a fireplace. The bar is, as mentioned, quite alive. House beer and wine only relieve patrons of one Euro and late-night drinkers can always grab a brewskie from the vending machine. 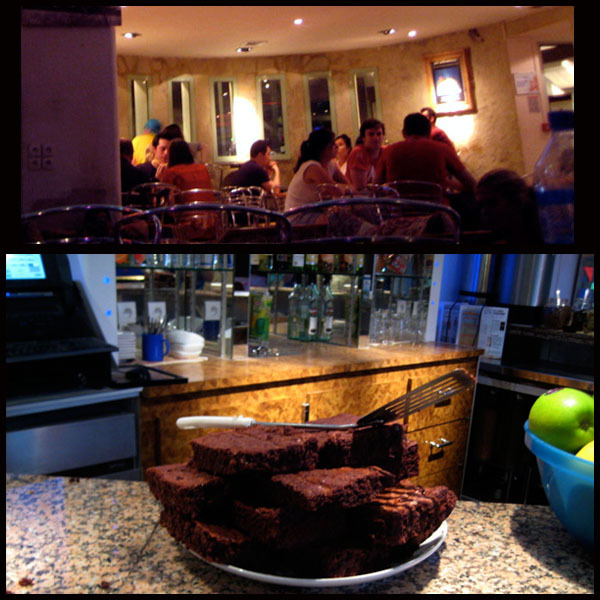 Plates of brick-sized brownies are also available at the bar, scarfed down as fast as they can be made. It’s the kind of room that is impossible to be lonely in. The dorm rooms are a bit cramped, holding as many as thirteen beds. The designers realized that they weren’t going to win any prizes with the room space afforded to them, so they wisely opted to make the common areas so attractive that nobody would bother with beds, other than to sleep. 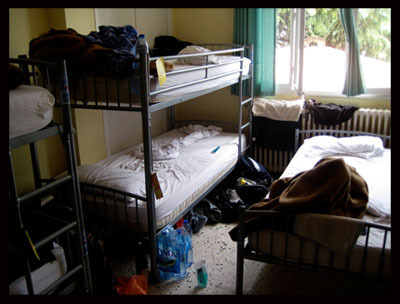 Any complaints about the dorm rooms would seem common for most hostels – more showers, toilet paper, less inexperienced drinkers. Chillout space? Check. A perfect place for a bottle of wine or a smoke. The Villa Saint Exupery’s only downfall might not be its own doing. Reviews and articles about the hostel are so glowing that many people booking might not take into account that this is, after all, a playpen for backpackers. Sadly, a dorm room is only as clean as its inhabitants. It doesn’t matter how big the beds are – they’re still littered with empty peanut butter jars and Stephanie Meyer books. The reviews give Saint Expupery a grand air – which it has in many ways – but no matter how you dress a hostel up, there’s still going to be the Australian dude slapping me on the back, talking about how he’ll get the girl who smells like Garniere Fructis. A hostel is, still, just a hostel. Check out another one of our hostel raves, as well as our picks for best party hostels around the world. 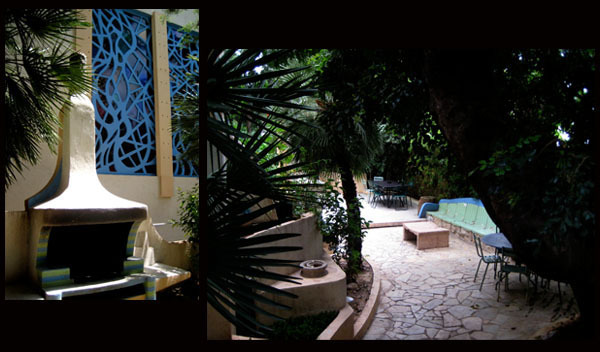 Our recent post about ’boutique hostels’ might also catch your eye, especially if you want to search for other hostels like Villa Saint Exupery.